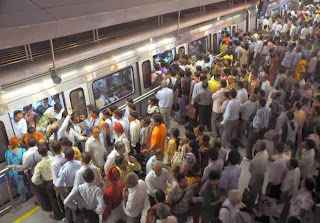 In the past I have written about my experiences while traveling around the city and specially in the Delhi Metro. I had written about how people have no civic sense or general decency to offer their seat to someone who needs it more. But of late, I have come to observe such behavior in an entirely different light which appears beyond decency and civic sense. Although it obviously appears to be about being street smart quite literally, but there’s more to it than just being street smart. 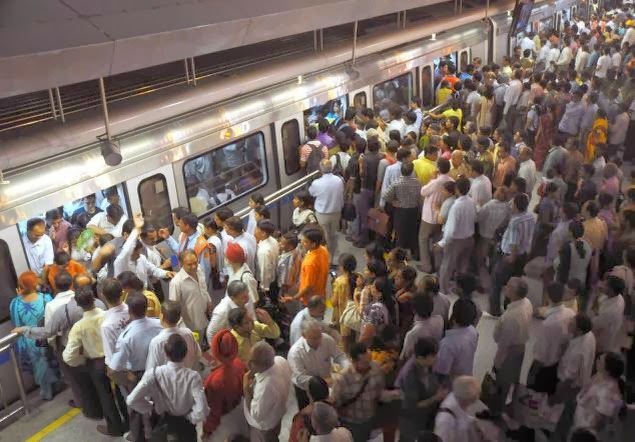 Taking for example, the way people behave while traveling in the Delhi Metro, one needs to keenly observe to realize why people behave the way they do. Without fail, at various Metro stations (specially at the change points) one can see how passengers boarding the train literally scamper to occupy a vacant seat. Obviously not waiting to ascertain if it is labeled for a particular category of passengers (like senior citizens, ladies or the differently abled) they just make sure to get themselves seated first. Now, I have often wondered why people are so desperate to sit while traveling (which may be even for as short a journey as one minute). And I don’t mean about frail or sick people but even completely fit and healthy youngsters who can be seen scurrying to occupy seats marked for senior citizens. I used to think that maybe it was due to the intense tiredness that one is carrying on themselves after a hard day’s work, or maybe some strange sense of happiness that one experiences only after managing to get a seat even if one is fresh and ready to go to work. But I now realize that happiness it is. The happiness of the achievement of managing to win a seat for oneself in such an intensely competitive travel schedule. I have observed people taking it to be an achievement however small it may be. And maybe these are the types of small successes people have started to aim for in this highly competitive world. On several occasions, I have overheard people boasting of such a ‘success’ to colleagues at work. It sort of makes one’s day if he or she manages to claim a seat for themselves while traveling. The same goes for people who rush through dense crowds in order to stick in a foot between the closing doors of a lift marked only for the elderly or the disabled. On first thought one may feel that people are merely being street smart to make life easier for themselves. Obviously it wouldn’t hurt a twenty five year old if he or she had to stand during a journey that spans about fifteen minutes. Or for that matter, if he or she had to climb up or down about thirty stairs. But it is, in fact, the sense of achievement or success that one experiences that makes people ignore any civic sense towards fellow citizens. And maybe it is the street smartness which enables them to achieve these successes. It is nice to see people happy through a sense of achievement. But it hurts to imagine how low people set their aims for success. Or rather, everyday success. As for me, I’m still street dumb !